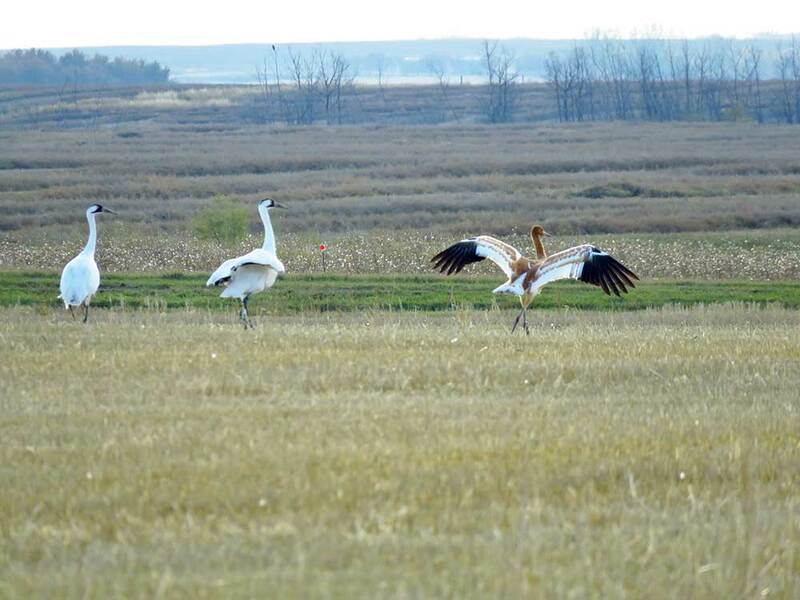 Friends of the Wild Whoopers, (FOTWW) has received several reports and photographs of Whooping Cranes staging in Saskatchewan, Canada. 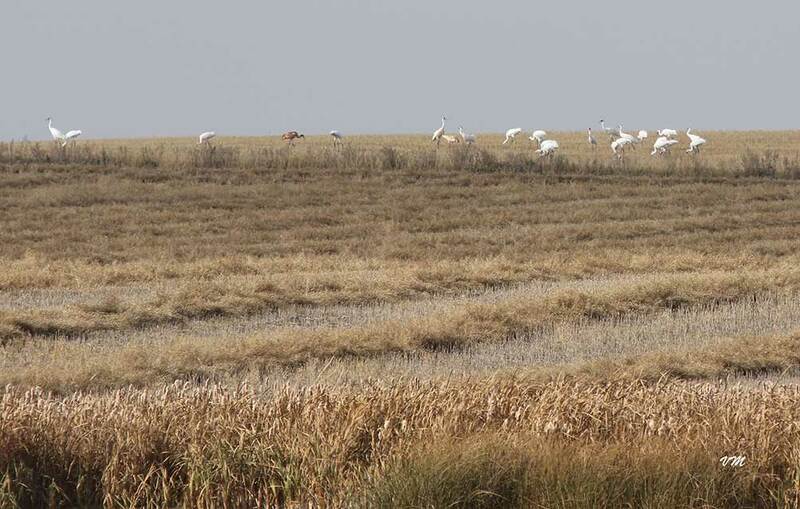 On October 5th, a Whooping Crane was spotted and photographed at Quivira NWR, in Kansas. 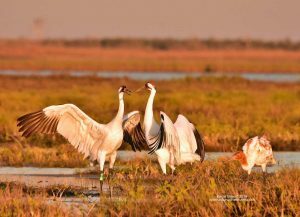 It can be said that the fall migration of the only natural wild population of whooping cranes is underway. 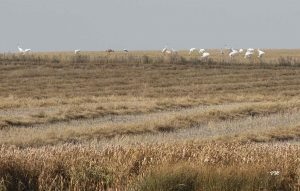 The flock is expected to migrate through Nebraska, North Dakota and other states along the Central Flyway over the next several weeks. 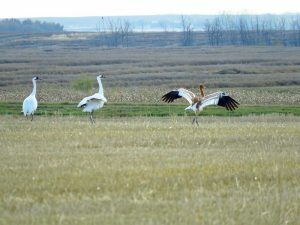 The Nebraska Game and Parks Commission, the North Dakota Game and Fish Department and other state Fish and Game agencies along the flyway encourage the public to report any whooping crane sightings. 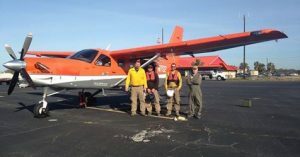 You may wonder why the wild life agencies are asking for these sightings to be reported. 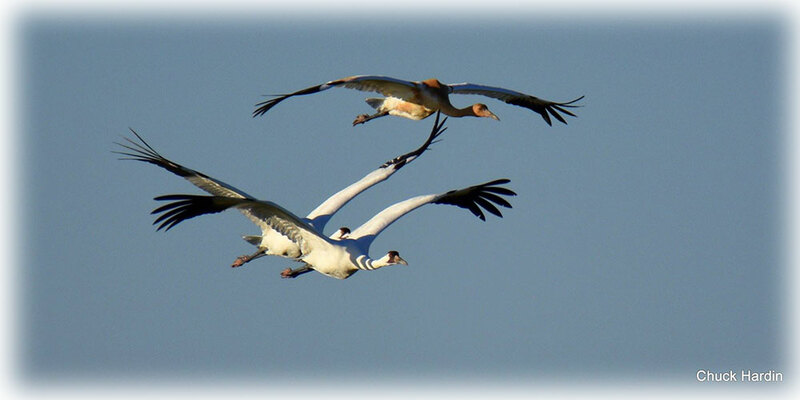 The reports are very helpful in gathering data and information on when and where the whooping cranes stopover, what type of habitat they are choosing, and how many there are.